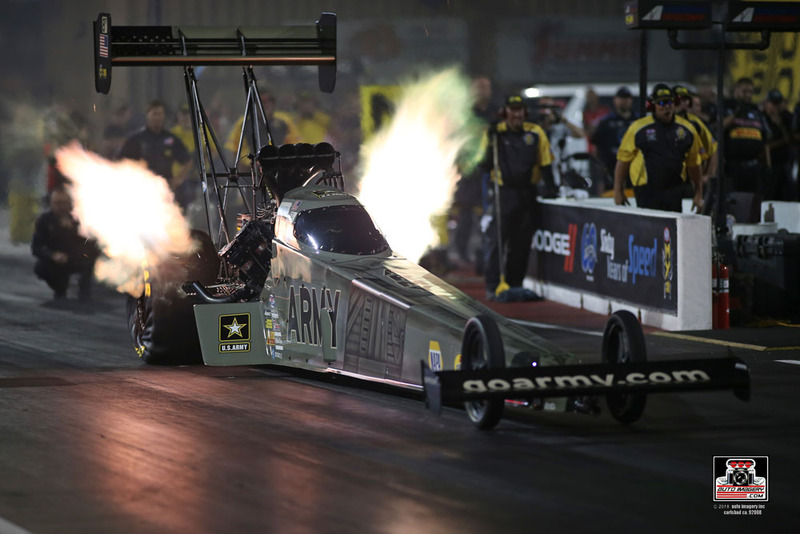 MORRISON, Colorado (July 21, 2018) – Leah Pritchett dominated throughout qualifying at the Dodge Mile-High NHRA Nationals, securing her second consecutive Bandimere Speedway No. 1 qualifier, second consecutive pole of 2018 and 10th of her career. 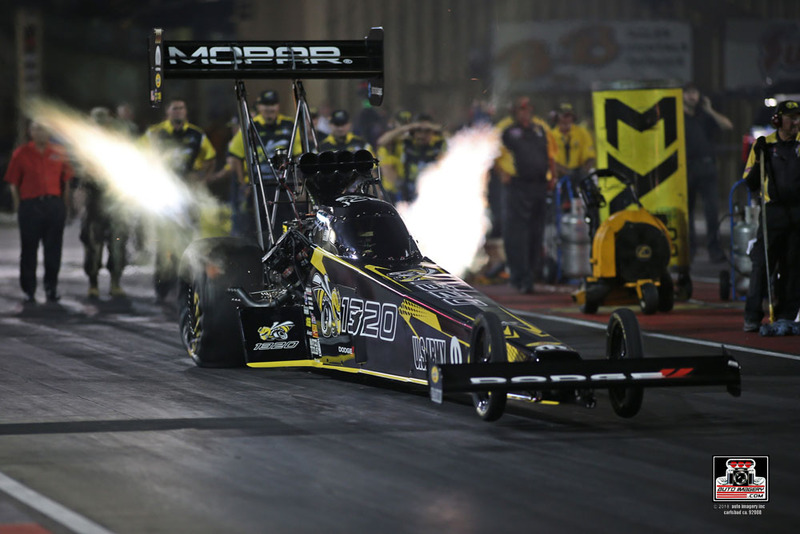 The Mopar Dodge 1320 Top Fuel dragster was arguably the most competitive car on the property on Friday and Saturday, with Pritchett running the best pass of each round in three out of four qualifying sessions, and the second-best pass in Q1. Pritchett closed out Friday evening sitting in the top spot with her 3.806-second at 317.19-mph pass from Q2. Right out of the gate on Saturday, the Todd Okuhara/Joe Barlam-led team threw down a stout 3.813-second at 319.90-mph run. Pritchett, who entered the event with the track E.T. record (3.733-seconds) after securing the No. 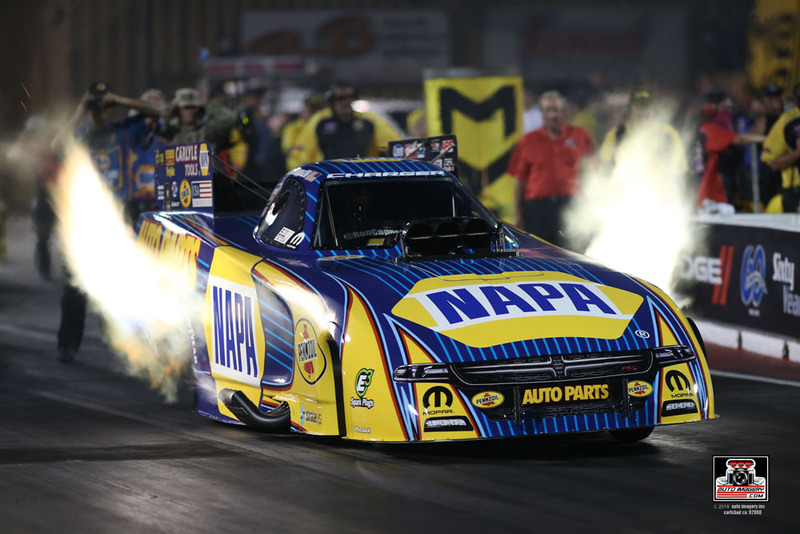 1 spot in 2017, added the track speed record to her impressive list of accomplishments when she blasted to a 3.799-second at 327.19-mph lap in Q4, which held up to be low E.T. of the weekend. 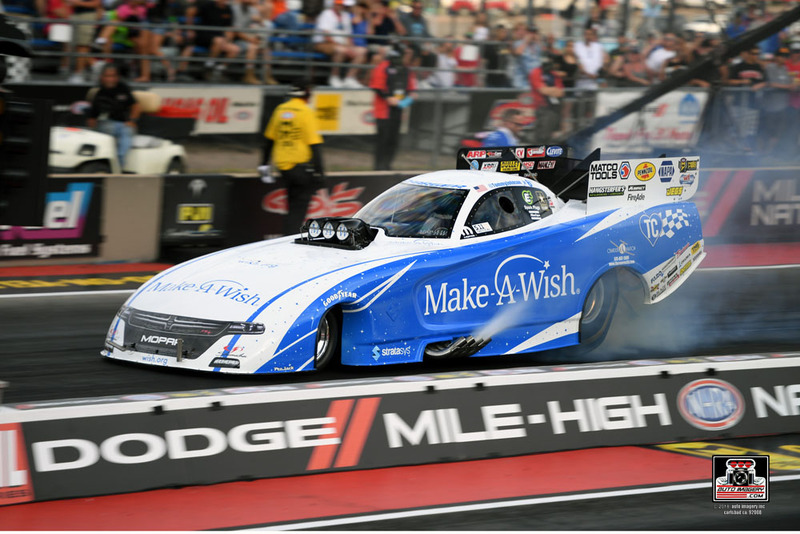 Pritchett’s reign of dominance during qualifying at the Dodge Mile-High NHRA Nationals yielded 11 out of a possible 12 bonus points and the advantage of lane choice over round one opponent Terry Totten. “We were definitely putting the coals to it for sure, licking our chops. We’re on the mountain, it’s our sponsor’s race, we’re giving it every single thing we’ve got. Just like when we went No. 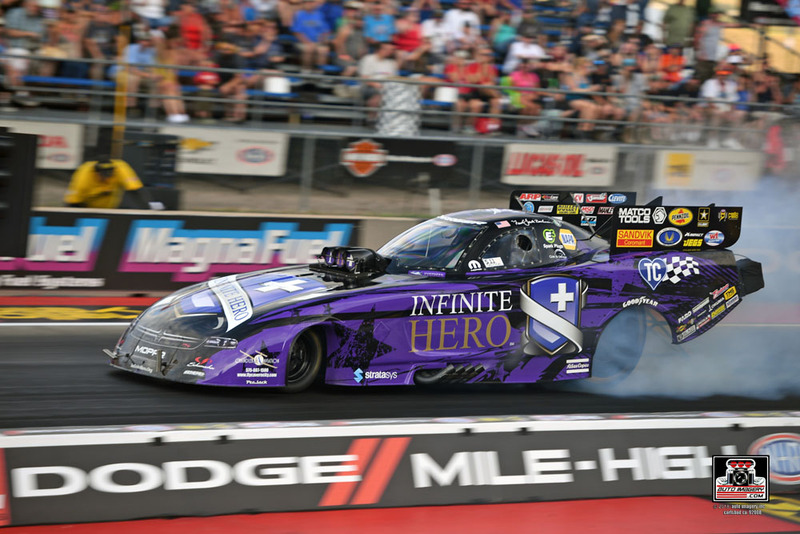 1 in Epping, that last run was pretty interesting, and Q4 right here was real interesting,” said Pritchett, referring to her No. 1 qualifier from the previous event in Epping, N.H. 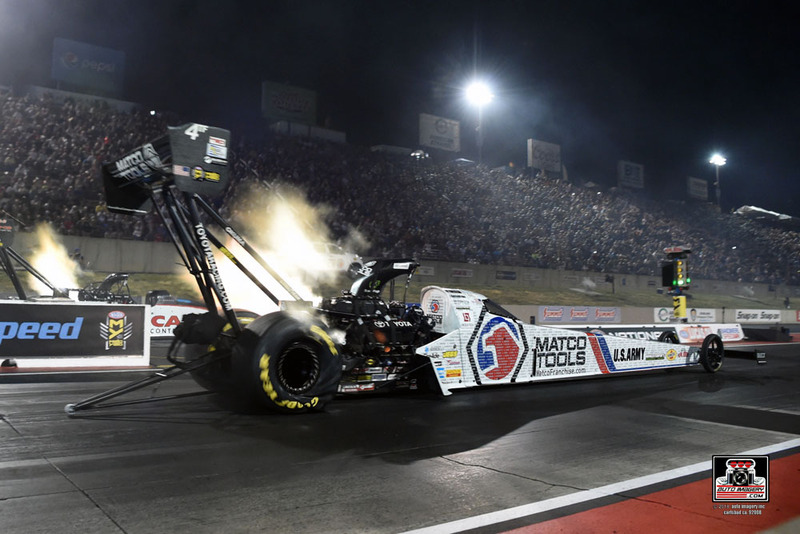 The 2017 Dodge Mile-High NHRA Nationals Top Fuel runner-up is confident her team’s qualifying success will translate into a long and victorious race day, ending with the Mopar Dodge 1320 Top Fuel dragster in the winner’s circle. "I had to shut it off really early. The Infinite Hero Dodge was skating around from halftrack on and it was going to go over the centerline and I was going to be the guy steering it over there if I didn't click it off. Sometimes discretion is the better part of valor. We've improved every single run. We have a hot Mopar at the Dodge Mile High Nationals. Can't wait for Sunday." "Well, I mean, consistency, we wanted a three-second run. But (crew chief Rahn) Tobler, you know him, he's big picture guy, and consistency is great in qualifying, especially when you see the adverse conditions we've been in. But tomorrow, let me tell you, race day Sunday here is going to be like nothing anybody has seen this weekend. We're going to start mid-day and temperatures are going to be hotter than it's been on any of our runs. That's when you want a guy with the NAPA Know How I brag about with Rahn Tobler. I brag about being able to go out and run in conditions that really equal Wallys. That's the heat we're going to see on Sunday, like we haven't seen. I feel great. Would have been nice to get a three-second run but I'll take a Wally on Sunday and a yellow hat over a three-second run." "It was good to get solidly in the field. We've been struggling all weekend up here with the altitude. We just don't have the tune-up for it but Q4 gives us something good to work off of for tomorrow. Obviously, conditions and temperatures will be a little different, so we've just got to go racing, man. I think that we know how to race and we race smart. 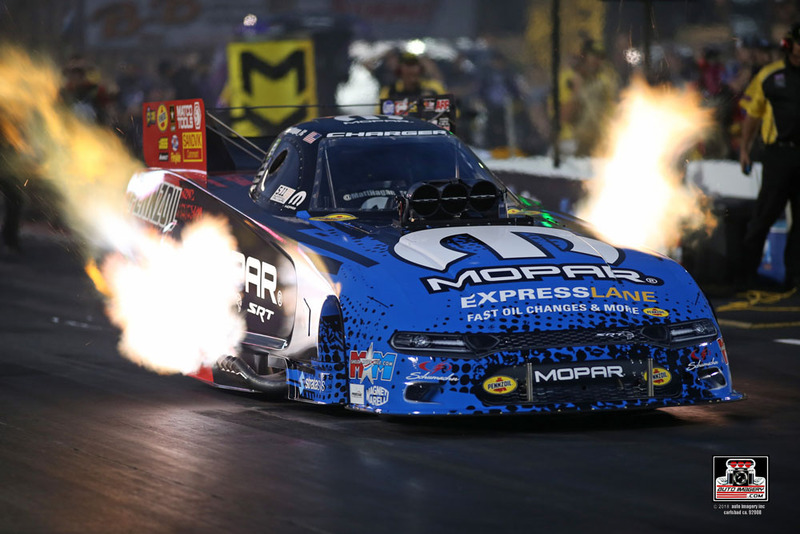 We'll get a game plan together tonight and make things happen for our Mopar Funny Car powered by Pennzoil."